Brush anodize repair is possible…even on the line! What do you do when you need to anodize or electroplate something that cannot fit in a tank, or something that is already firmly attached to an aircraft such as the static port on the plane above (or anything else for that matter)? The standard approach is to brush plate (or brush anodize). But traditional brush plating and anodizing are messy – acids and toxic plating chemicals drip onto the floor, onto the technician, and often into the aircraft. The answer is non-drip anodizing and plating. Corrdesa is the US distributor for Dalic, the French company that invented the non-drip technology, which uses a closed-loop system to selectively anodize or electroplate, even overhead. The non-drip technology does not use seals, but instead uses airflow to hold the electrolyte in the plating tool and on the surface. 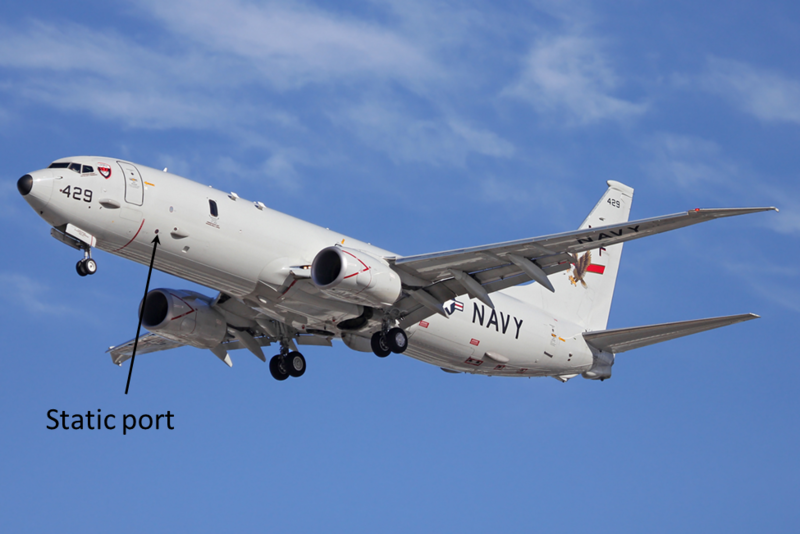 We have demonstrated this approach to anodize a static port on a U.S. Navy P-8 Poseidon sub-hunting aircraft which can be seen in this video. The tool used in this video is the standard small tool used for repair. But what if you need to anodize or plate a much larger (or smaller) area? Corrdesa uses computational modeling, combining Computational Fluid Dynamics (CFD) and computational electrochemistry to design larger tools or smaller tools for everything from re-anodizing friction stir welds on aluminum tanks to stripping and replating fastener heads on aircraft. Corrdesa will be in booth 110 at MRO Americas in Atlanta, GA from April 9th – 11th demonstrating the closed loop functionality of the Dalistick D.1000 unit, specifically made for MRO’s. Check out the difference this tools makes!